This weekend our Junior and Senior teams will be competing at the National Indoor Championships at Stoneleigh Park in Warwickshire. Good luck to all our team members and to all our Welsh archers shooting at the competitions on the weekend. Now that the Outdoor season is underway, just a reminder that a qualifying tournament for Gents is a York/WA 1440/WA 720 (70m/60m/50m) and for Ladies a Hereford/WA 1440/WA 720 (70m/60m/50m). Ranking priority is given to those who have shot the most tournaments although of course this balances itself out once the minimum 5 tournaments have been shot. Up to the top 20 archers in each discipline are shown during the season. 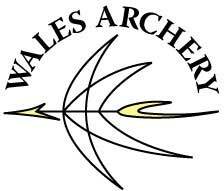 All Welsh tournament organisers are requested to forward a link to/copy of their results as soon as they are published, and if any archer would like to include a score shot outside of Wales then please forward a link to/copy of their results list to Dave Evans no later than 2 months after the tournament. Closing date for inclusion is 1st October. Have you ever wanted to be more involved in the running of our competitions in Wales? We need judges to help us make sure our competitions are run safely and fairly and we are currently looking to recruit more judges. Information on becoming a judge can be found on the Archery GB website and if you are interested, then please get in touch with Paul Curtis, our regional Judge Liaison Officer who will be happy to provide you with more details. Find your nearest club here!